Everyday Caring involves inventing ‘stuff’ needed as you adapt to lifestyle changes and personal development. Here are my Everyday Caring top tips for discrete lifestyle designs. 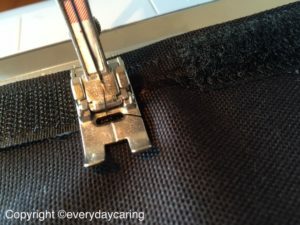 All you need is velcro and lots of it!